Recently I was asked to serve on a short-story panel at the Bouchercon World Mystery Convention in Toronto (October 12-15) that will attempt to provide advice to new writers on various aspects of craft. The panel’s moderator, frequent EQMM and AHMM contributor James Lincoln Warren, asked each panelist to provide a list of topics for discussion. That got me thinking about endings. This type of panel is untried ground for me. I am not a teacher of creative writing, nor have I ever so much as attended a class or workshop on creative writing. Anything I know about the short story comes from reading, and from working one-on-one with authors for more than a quarter century. When it comes to reading, however, I have an abundance of experience. EQMM receives about 2,000 submissions per year, and I have always at least check-read every one of them. That’s about 52,000 short stories consumed (though, admittedly, not all get read all the way through! ), and it does not include the many stories I read solely for pleasure. I can’t help thinking I’ve absorbed a few things from all that reading (anyone would) and although I’ve never liked offering general advice to new writers, it would be impossible not to have formed some ideas over the years. Today I thought I’d share a few regarding endings. For me, this encapsulates a central element of most of the stories we find in the mystery and crime-fiction genre, though it is especially true of surprise-ending (sometimes called “twist-in-the-tail”) stories. There, as veteran writer James Powell once put it in a letter to EQMM, the ending is like the punch line to a joke—by which I do not think he meant that the endings to such stories are necessarily contrived (a common criticism of the twist-in-the-tail story). I think he meant instead that a short story is such a closely interconnected whole that you either nail it perfectly with the ending or it all falls flat. As an editor, I’ll sometimes turn down stories with the comment that the ending isn’t satisfying to me. But only very rarely will I ever suggest a specific change to an ending, and that’s because it’s been my experience that a change to an ending usually requires significant change elsewhere in the story—a fairly comprehensive rewrite that can only be done by the author. I’ve found that many new writers are excessively focused on the openings to their stories. I’ve been approached a number of times, at mystery events, by novices who seek to interest me in a story by touting its great opening line. And yet openings (if not specifically opening lines) much more often fall under my editorial pen than endings—mainly because they are far easier to edit. Nine times out of ten, the problem with openings to stories is that too much information is given up front—there’s too much setup. It’s relatively easy to pare some of that off so that the reader can get directly into the story. Edit an ending, by contrast, and you’ll probably soon see that you’ve knocked something off kilter elsewhere. Edward D. Hoch, with whom I worked for seventeen years, editing approximately two hundred of his stories, seemed to think so. He was extremely amenable to almost any editorial change. There was only one exception: Just don’t change the ending, he’d always say. Ed worked with all three of EQMM’s editors and though I never knew my predecessors, I’ve heard enough about them to know they each had different approaches from mine and from each other’s. 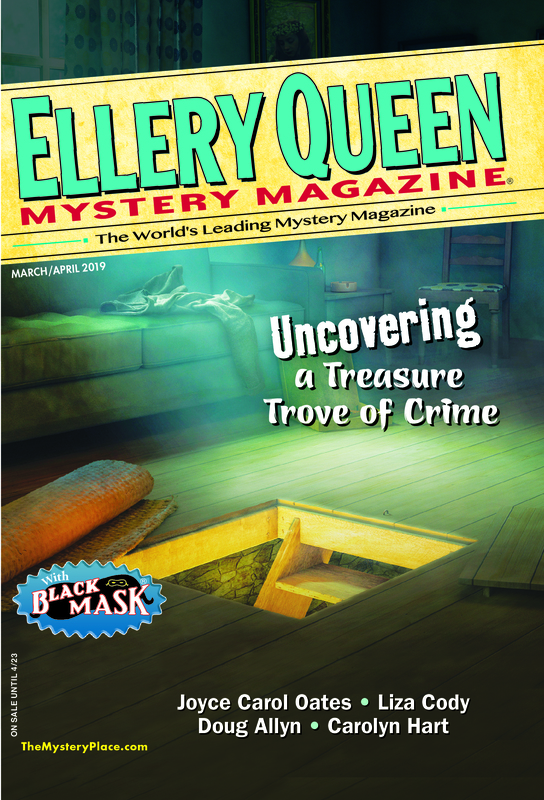 Founding editor Frederic Dannay was famous, I’m told, for changing endings, but Fred, in his role as the writer Ellery Queen, was a master plotter, and also one of the world’s most famous literary collaborators. I wonder, therefore, if the work he did on some of those EQMM stories was closer to that of cowriter than to that of the typical editor—and whether he actually changed a great deal more than the endings! It may also be that Fred was more often editing classical whodunits than we are today—since so few cross our desks. For it seems to me that with a whodunit there is often less inevitability to the conclusion. I’m reminded in this regard of the Rupert Holmes musical The Mystery of Edwin Drood, from Charles Dickens’s unfinished novel. In it, audience vote determined which among multiple endings would be performed on a given night. This was all great fun, but of course, in a theatrical setting of that sort one doesn’t have the same expectations one has of a short story. And readers would be deprived of the sense of being fooled by a whodunit—that “Oh, I should have seen that!” moment—if it appeared there were any number of ways it all could have turned out. There is often a bit more latitude in the determination of the ending to a whodunit than to a twist-in-the-tail or suspense story; nevertheless, I think that latitude is always limited. In a very tightly plotted whodunit, there really is only one possible solution, and even when there’s room for more than one, the plausibility of the possibilities is tied to much else in the story, especially to the way the story’s characters have been developed. I’ve posted about the intimate relationship I see between characterization and endings on this site before, with regard specifically to whodunit confession scenes (“Wrapping It Up,” July 2013), so I’ll refer you there if you’re interested in a few more thoughts on this subject. I’ll just add that if we wanted to measure how effective a confession scene is in a given case, we could once more bring in Poe, who said that every element in a story should tend toward bringing about a “single effect.” I think what he said can be adapted to fit many types of stories. From a plot standpoint, the single effect a whodunit aims for is presumably giving the reader a sense of being fooled, or inspiring a sort of awe at the cleverness of the puzzle and its solution. But I’d argue that when a writer pulls out of his hat a solution that isn’t convincing given the way the characters in the story have been drawn, readers are left not with a pleasurable realization that they’ve been legitimately fooled, but with a sense of having been cheated. That’s why endings to whodunits, as to any type of story, are so difficult, and why Poe thought they had to come first in the process of construction. The ending is the point at which the writer either delivers the effect the whole story has been driving at, as Poe put it, or falls fatally short. This entry was posted in Editing, Fiction, Genre, Story, Writers, Writing and tagged conclusion, editing, endings, fiction, literature, mystery, short fiction, short stories, suspense, writing, writing advice. Bookmark the permalink. I think you’re right on the money, Janet. You can’t do better than Poe as an authority. Enjoyed this piece very much. I think the ending has to grow organically from what went before it. I get a little nuts when, as you say, it appears the writer is pulling the solution out of a hat. One of my pet peeves. And ditto what David said, I enjoyed the piece a lot. Terrific essay, Janet — I couldn’t agree more. So much of my own work is toward getting (trying to get) all the pieces in place, and I don’t just mean clues, so that the ending feels both surprising and inevitable. I love when stories I read nail that ending in the same way, such a joy. Thank you SO much, Janet. Right now I’m struggling with a story that’s due in two weeks (gah!). I plan to keep Poe – and this essay – firmly in mind for the rest of the month. See you in Toronto! And yes, Edith, looking forward to seeing you in Toronto! You too, Art, of course!